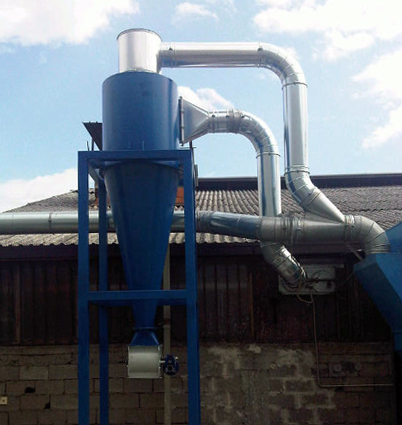 Cyclone separators are systems designed for treating pollutants by separating the contaminated particles and using moving parts. 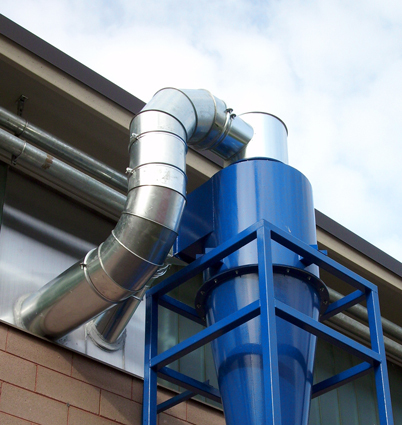 The air flow and dust enter the system which consists of two concentric cylinders which push the particles against the walls, allowing the air to leave. 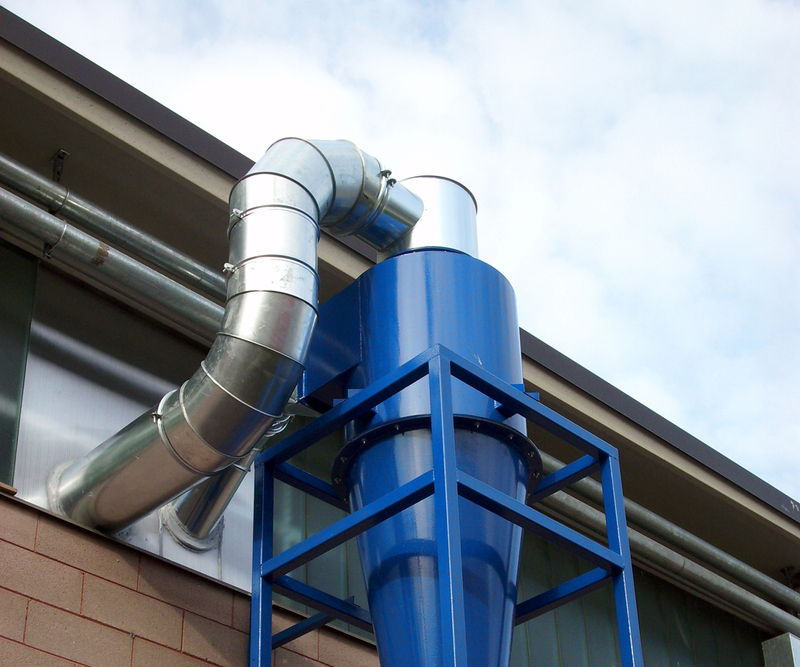 In this way, the dust falls to the bottom of the system and can be collected for treatment. The performance of the system improves as the size of the particles increases. 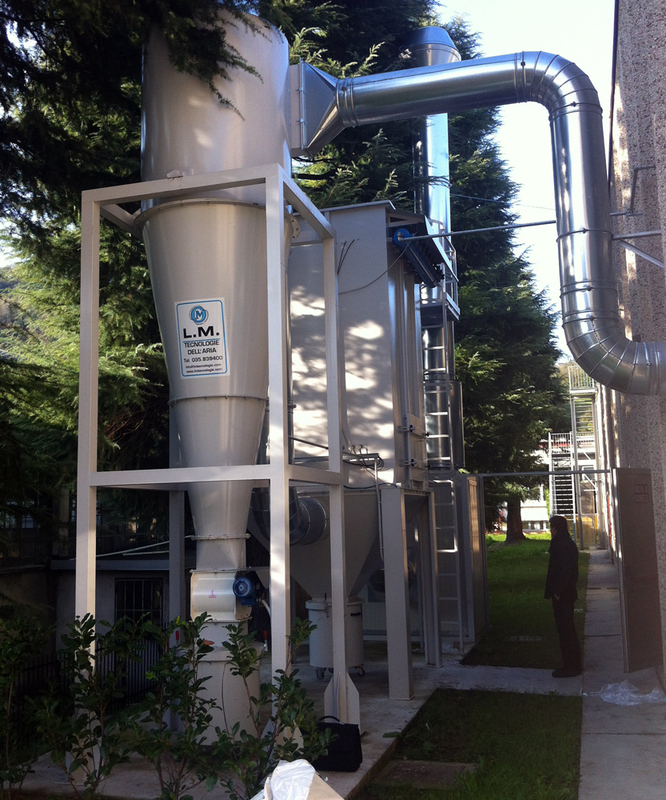 The system can be used not only for dust but also for solids suspended in liquids and in this case the plants are called hydro cyclones. The cyclone separators can be made of steel sheet and other materials. The cyclone separators can be of different types: standard with tangential input and axial output, with a tangential input and lateral output, with an axial input and output, with an axial input and lateral output. This possibility of customising the systems enables our company to design plants that can be adapted to different environments and different processes, according to the customer’s requirements, while always guaranteeing efficiency and efficacy and the high quality of our products. 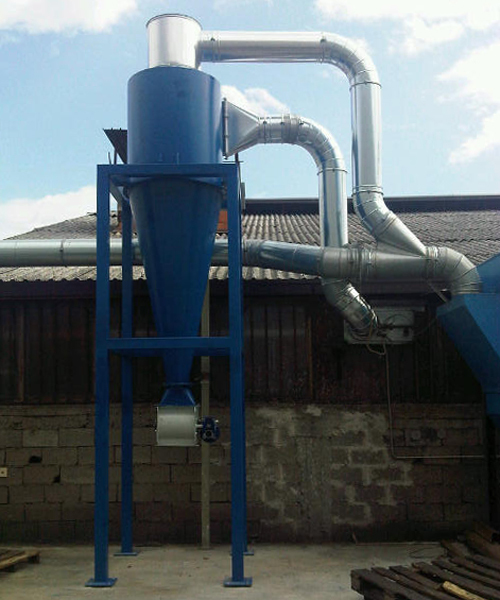 The cyclone separators are used in sawmills, in refineries, in cement works and even in some models of vacuum cleaners. 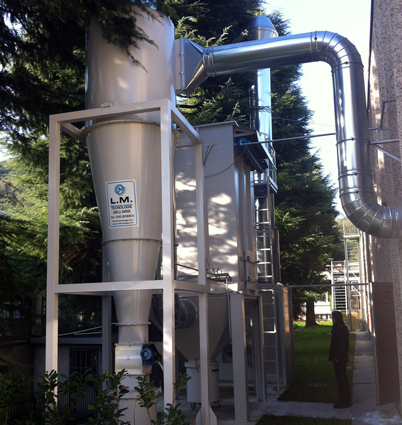 This system offers numerous advantages: firstly they are very effective for large sized particles, they do not require large-scale maintenance and the recovery of the dust is quite simple. Furthermore, they do not occupy much space and the running cost is quite limited. There are no restrictions regarding the temperature or the humidity for this type of product.